Meet Ashley Rozell! Ashley graduated from Whitehouse High School class of 2018, as a Certified Veterinary Assistant. She enjoys traveling all around the US, and trying new foods along the way! Ashley has two cats, Lucas and Liam, and a resident Yorkie/land shark named Reese. When not working, she likes to spend her spare time with friends and family. Hope Smith joined our team in February 2018. She comes to us with twelve years in the pet care industry. Hope belongs to an angry African Grey named “Chipper”, and a Pittie mix named Bear Bear. While not at work, Hope spends her time with her daughter, Faith, watching her play volleyball. Meet Chelsea Douglas! She joined the TVC team in January 2016, and came to us with 6 years in the pet care industry. Chelsea is owned by a 10 year old Old English Bulldog named Allison, who is the love of her life! When not at work, she enjoys Aggie football, shooting her bow and hanging with her friends and family. Is a native of Tyler and has been working with animals since 1991. 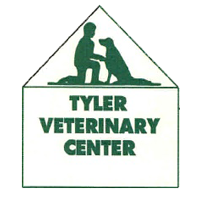 In 2003, he joined Dr. Lancaster at Tyler Veterinary Center. Jose and his wife, Veronica, have 4 children and are very active with their church. When away from the clinic, Jose enjoys spending time with friends and family. Moved from California to Texas in 2007 where he began working at Tyler Veterinary Center. He brings 20 plus years of experience with him. He is married with triplet sons who are very active in the American Sign Language community. When he isn't at work, Rick enjoys spending time with his friends and family. Gabriel Barrios is one of our technicians and has been with us for about 5 years. He has a passion for travelling the world has been to Spain, Canada, Argentina, China, and Portugal. When not travelling, Gabe is very active in his church, loves spending time with friends and family, especially with his nieces and nephews, and spending time with his chickens. Jose 'Junior' Arroyo has been with us since September of 2015. Junior and his wife, Sarahi, have a precious little girl name Adalyn, who keeps them both pretty busy. When not at work, Junior enjoys spending time with his family, playing just about any kind of sport and playing the bass guitar. He came to us in September of 2016 and we are happy to have him. You will typically see Abraham when dropping off or picking up your pet. Abraham has a one-eyed chihuahua named Brownie that he has had for about 12 yrs. When not at work, Abe enjoys playing just about any type of sport, he is a big Dallas Cowboys fan, and loves eating and trying new food!